Summer has finally arrived in England, and we’ve been having a good old-fashioned, Midwest-style heatwave. But Charlie knows how to keep cool! Author rrideyPosted on June 21, 2005 Categories Charlie, Family, PhotosLeave a comment on Summer splash! 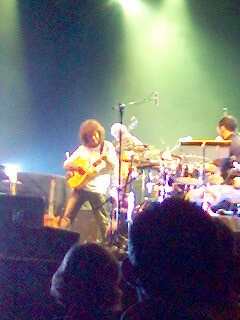 Pat Metheny and his group performing earlier tonight at the Hammersmith Apollo. What an amazing group of musicians. At some point during the performance, each had played at least four instruments, and even the drummer strapped on a bass guitar – while he was still playing the drums! 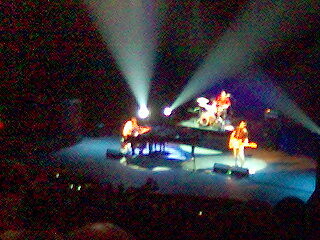 They played the new album, The Way Up, in its entirety, non-stop, all 68 minutes of it. Here’s about 50 seconds’ worth of The Way Up.